​This course is one of the elective courses available to students in the Professional Year of study at Lakehead University, Faculty of Education. It is open to students in P/J/I/S and will enhance awareness of and issues in education relevant to digital literacies and pedagogy with digital media. This is designed as a nine week course to fit into the current schedule of the two year program. It is only offered online and is available to students in Orillia and Thunder Bay. This course is designed and delivered by Helen J. DeWaard. She has previously taught EDUC 3239 in both pre-professional and professional year offerings under the title Digital Teaching and Learning. She has collaborated on the Media and Digital Literacy course for concurrent education students in their professional year. She is a regular blogger, active on twitter and content creator in MOOC spaces. 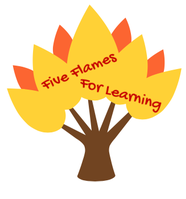 Her blog site is Five Flames for Learning. Lakehead University has a diverse program offered in Thunder Bay and Orillia Ontario. Explore why Lakehead is an exceptional and unconventional way to acquire an education degree on the Lakehead website. Read more in the Faculty of Education Fall 2015 newsletter.